The Evergreen Plantation tour is an outstanding representation of the plantation culture in Louisiana. Based on 20 years of research, a public archaeology project funded by a grant from the Louisiana Endowment for the Humanities, and ongoing research in oral history and cultural landscape, Evergreen sets new standards in cultural tourism. Plantations were complicated agricultural enterprises encompassing many facets of existence. At Evergreen, the tour highlights 250 years of family ownership, the architectural significance of the buildings, and a reliance on agriculture. Emphasis is placed on the plantation’s dependence on slave labor and later the labor of freed African-Americans that was necessary to operate such an enterprise. We take the interpretation of this site very seriously and strive to do justice to its history. • Personal photography (with hand-held cameras and cell phones) is permitted of Evergreen’s grounds and of the historic structures. Taking of videos is prohibited. The use of drones over the property is prohibited; violations will be treated in accordance with LA Revised Statute 14:63. 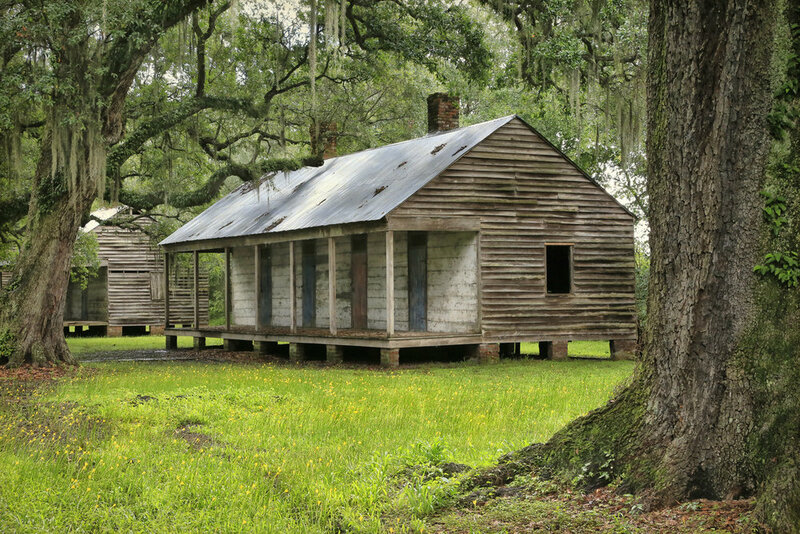 This is an hour-and-a-half walking tour that includes both the main house and slave quarters. Visitors are required to join a guided tour in order to view the plantation. Our Tour Office / Research Center is free to browse and open from 9:00 a.m. to 3:30 p.m.
Everyone is strongly encouraged to book your tour online to assure there is space in the tour time of your preference. Groups of 8 or more, or Private tour requests, please call (985) 497-3837. Walk in visitors will be accommodated based on availability. Morning – 9:15, 10:15 & 11:15 a.m. Afternoon – Monday through Thursday – 1:00 & 2:00 p.m. Afternoon – Friday and Saturday - 1:00, 2:00 & 3:00 p.m.
Evergreen closes occasionally for private events. Although we do our best to schedule these events far in advance, occasionally the closures result in the cancellation of a booked tour. If this happens to you, please know that we will issue a full refund, send an email, and offer a discounted rate on a rescheduled tour. Bus/coach tours to Evergreen from New Orleans are available. 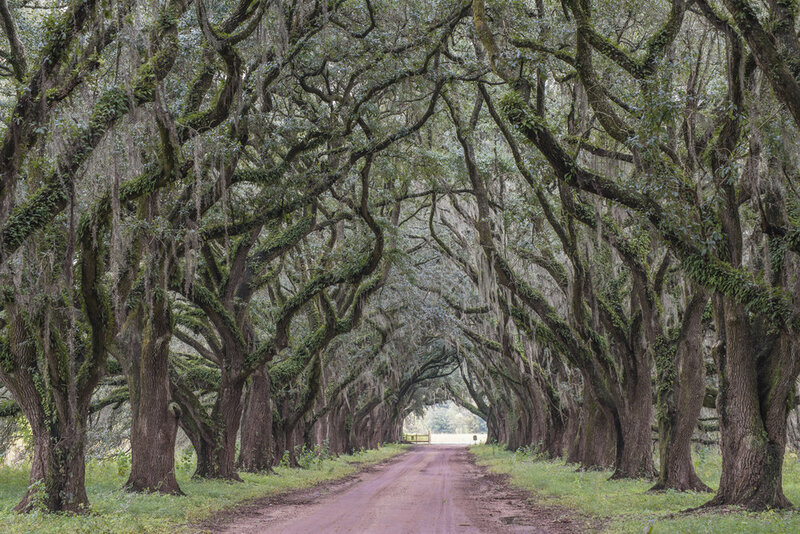 We recommend Old River Road Plantation Adventures, 1-866-671-8687. UBER/LYFT WARNING: If you travel to Evergreen Plantation with UBER or LYFT you will have to ask your driver to wait to return you to New Orleans. Neither company will drive from New Orleans to pick you up once you are here. 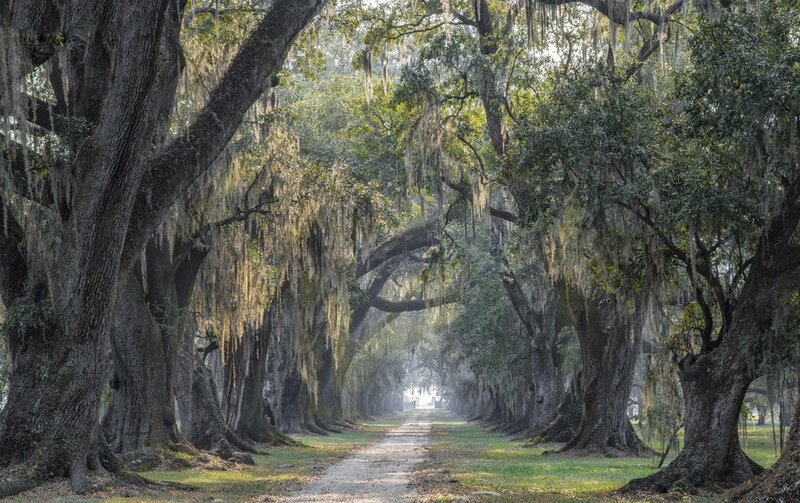 Evergreen Plantation is located on State Highway 18 on the west bank of the Mississippi River, about 45 miles upriver from New Orleans and about 40 miles downriver from Baton Rouge. Our address is 4677 Hwy. 18, Edgard, LA 70049. Click on the pointer in the map below to see directions in Google Maps.